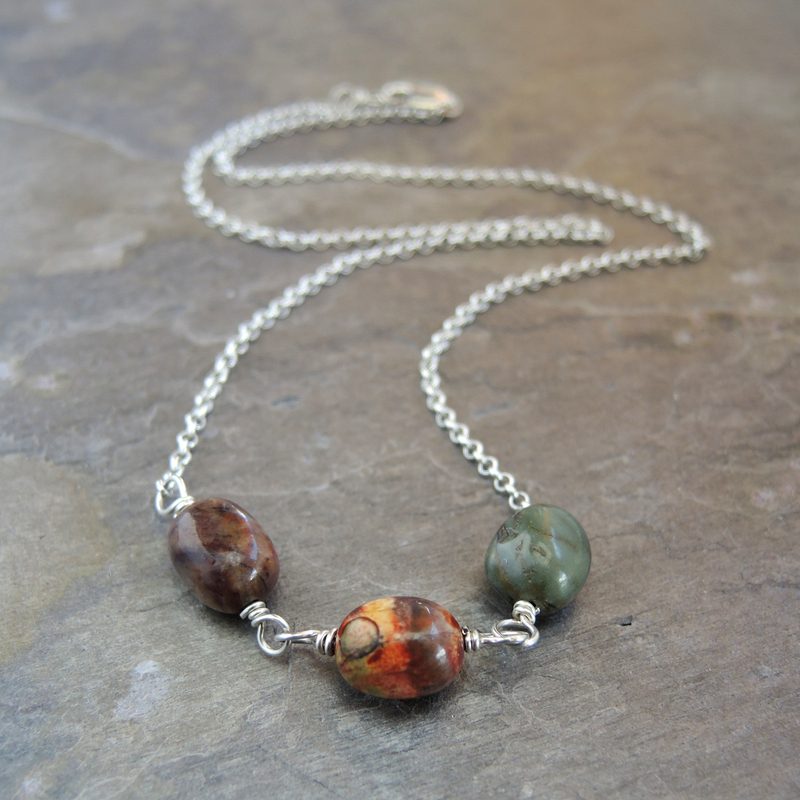 A trio of free form rounded pebbles of cherry creek jasper are wire wrapped into the front of this delicate sterling silver necklace. Each of the three stones is different is color and pattern, displaying the rich variety within red creek jasper. 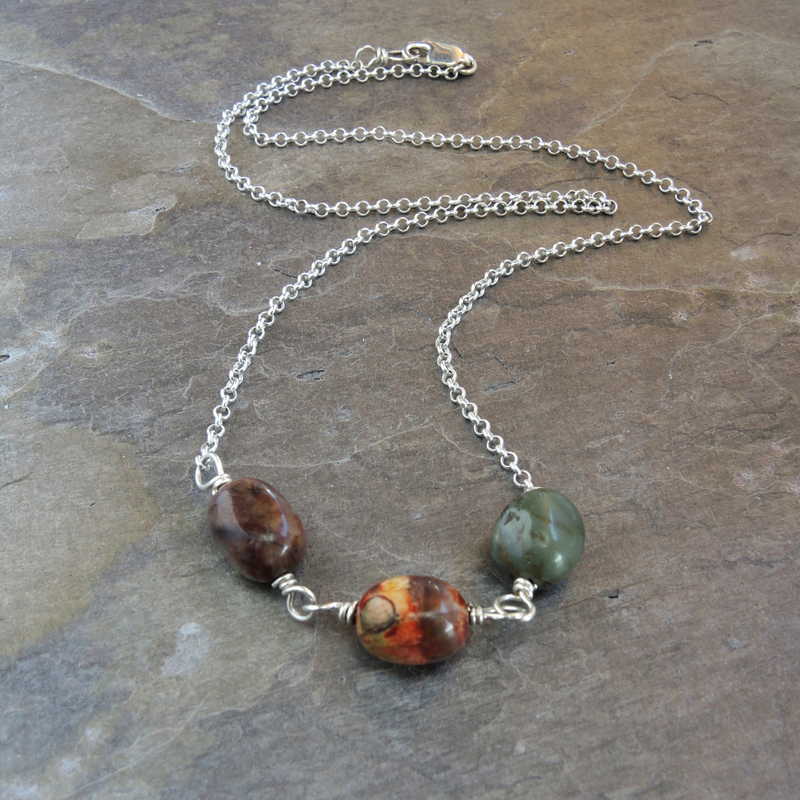 This jasper necklace is a short, easy-wearing style that you won't hesitate to wear every day. If you like unique stones, you will love this jasper. The jasper stones reveal colors of dark eggplant, stormy grey, and a sunset scene of ochre, peach, red, and brown that coordinate with many wardrobe choises, especially in fall. Just make sure your neckline is open to show off your jasper necklace. 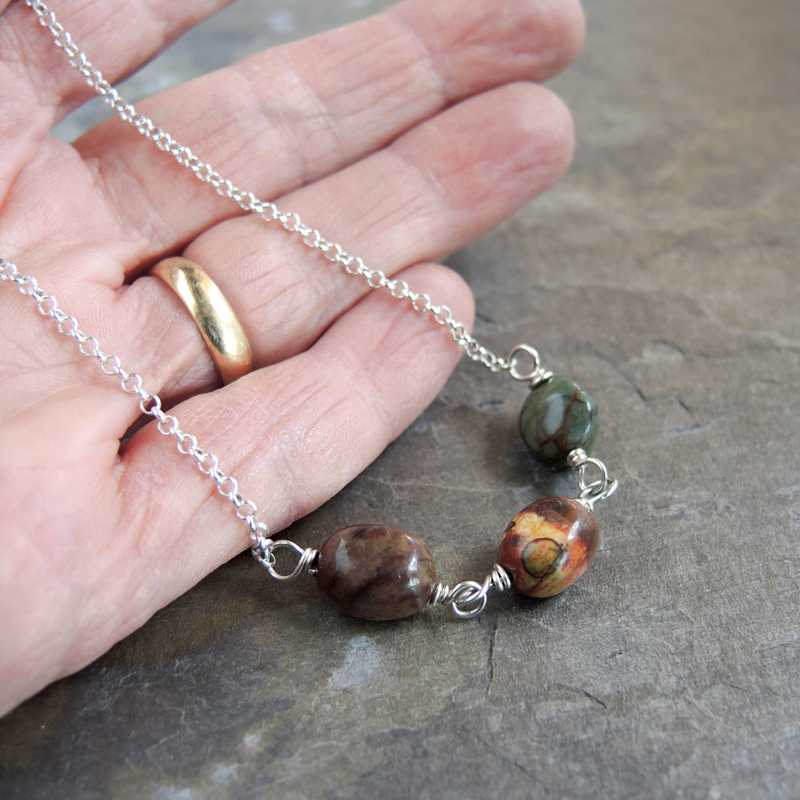 This jasper pebble trio necklace would make a nice complement with these long dangle earrings.